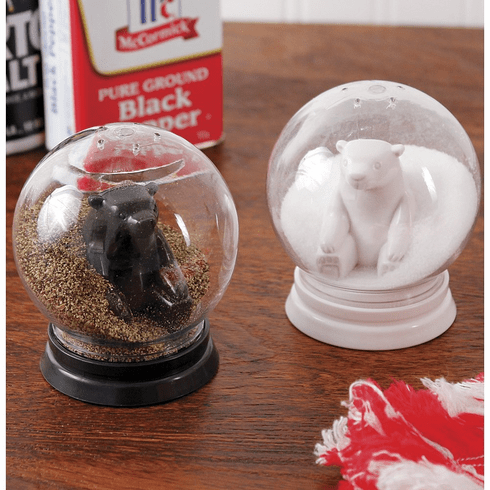 Add some spice to your table with the Snow Globe Salt & Pepper Shakers. Each set includes one (1) white and one (1) black polar bear seasoning globe. These fun salt and pepper shakers can be used for all seasonings!